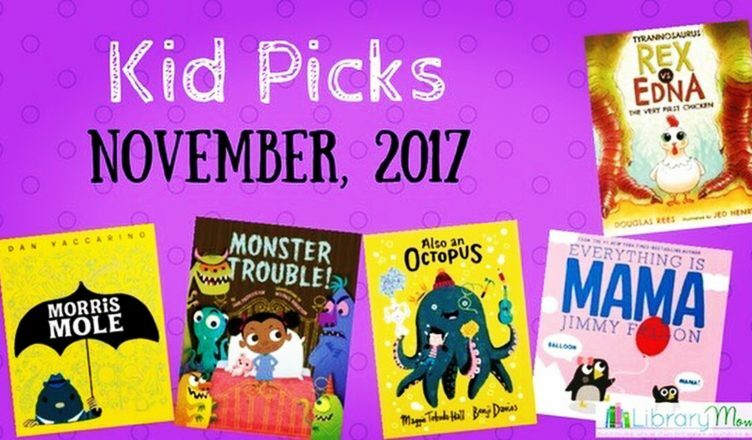 This month’s books are filled with an ukulele-playing octopus that is sure to inspire budding writers, a brave little chicken, and one of my favorite two-page-spreads of the year! Enjoy! This story is the perfect combination of inspiration and fun with a clever format that will draw children in. The book begins with an unseen narrator informing the reader, “Every story starts the same way…with nothing.” Writing can be an overwhelming process for many children and I absolutely love this gentle reminder that anyone can tell a story and that it can be about anything. 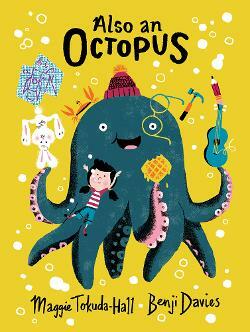 The story continues with examples of characters, finally settling upon a ukulele-playing octopus who runs into a problem. He wants to build a purple spaceship, but building it out of soda cans, umbrellas, glitter, and waffles doesn’t work. He sadly takes to a corner playing his ukulele. As he plays, the resolution begins to take shape as he attracts a crowd of people including rocket scientists who help him build his perfect ship. “So what happens next? That’s up to you. When one story ends, it’s just making room for another story to begin.” What a great incentive for kids to write their own stories! This story is funny, clever, and it will certainly succeed in inspiring young writers. I am a huge Dan Yaccarino fan and continue to be impressed with his storytelling and artistic talents. 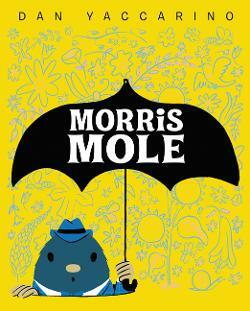 His newest tale focuses on a small mole named Morris who is “just a bit different from the rest.” Like most moles, Morris and his brothers live underground in the dark. While his brothers are all much larger, wear hard hats and work boots, Morris is a little more refined, sporting a fedora and a suit. Most importantly, Morris is not afraid to think outside the box and try new things. When the mole family runs out of food, his brothers decide to dig down while Morris digs up and discovers a wonderful new world. The moment Morris pops up is one of my favorite two-page-spreads of the year. The color pallet changes from dark colors to a bouquet of pastel flowers, birds, and insects with a surprised Morris emerging from the ground. Morris indulges all of his senses in this new enchanting world. After a close encounter with a fox, Morris returns home with his bounty of delicious food for his family. The illustrations in the story are outstanding and only improved upon by the positive message of believing in oneself and trying something new. As Morris says, “I may be small, but I can do big things.” What a great message for kids! We loved Edna’s mighty attitude and thought the fight scene between the two adversaries was hilarious. The illustrations really bring the comedy alive in the story. 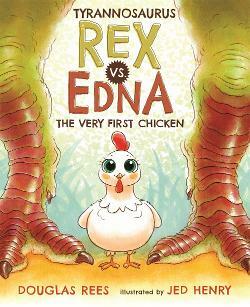 The juxtaposition between the fierce dinosaur and the cute big-blue-eyed Edna is perfect. Who doesn’t love a good underdog story? Even my husband had fun reading this book aloud! We originally tried to read this in October for Halloween, but it was so popular I could not get it from my local library until November. 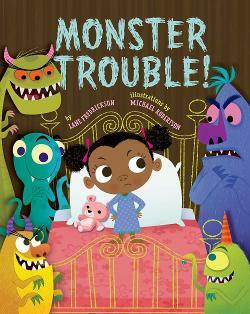 Winifred Schnitzel, a brave young African American girl, is not afraid of monsters and loves all things spooky. Winifred is often visited by monsters at bedtime, but thinks they are more cute than scary. Her problem is that they keep her up all night causing her to sleep through school, ballet class, and meals. Something had to be done. The resourceful Winifred creates several different monster traps, but she is thwarted each time. One night, however, “she was dreaming of puppies when a monster went hiss. She reached out and gave it a big, sleepy kiss.” It turns out monsters hate kisses and this is what finally keeps them at bay. This was a terrible book to read at bedtime because my kids would always want me to pretend to be a monster, so that they could chase me with kisses. Lots of fun and giggle provoking, but certainly not sleep inducing. With its flowing rhymes and fun illustrations, this is a great read aloud. 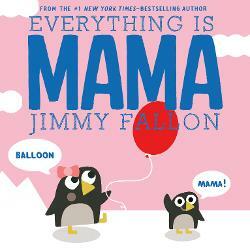 This is an adorable follow up to Jimmy Fallon’s bestselling book, Dada. In this offering, he plays on the common conception that many toddlers are happy simply using the word, “mama”. A variety of animal mothers attempt to get their children to expand their vocabulary by introducing other objects, but each time, the child continues to shout, “Mama!” My two-year-old daughter loved this book and we had fun giving voices to the animals, so that “mama” sounded different every time. She also liked that she could “read along” with me by saying “mama” at the appropriate parts. In the sweet conclusion, the reader sees all of the animals together with the children shouting, “Mama!” and the text reading, “Everything is Mama according to you. But one day you’ll see, Mama’s EVERYTHING is YOU.” A sweet reminder that always produced a hug between me and my daughter. A simple and fun book that is sure to be popular!